Charlie and I saying bonjour from la belle France. I am a wife, mother, grandmother, erstwhile teacher for thirty plus years, permanent student and pretty typical human being. I have my good days and my bad days, but I have decided I want to have more good days than bad days!! I play golf badly, piano a little better and I love reading, writing, and all things French. 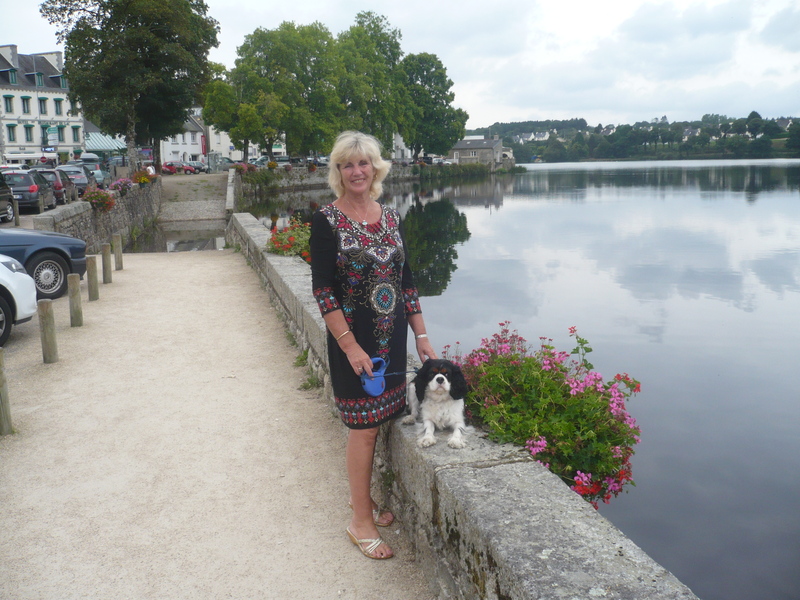 I divide my time between the UK and France and enjoy travelling with my husband, Len, and my dog, Charlie. I have long been interested in psychology and spirituality and enjoy writing inspirational poetry. In recent years I have been particularly interested in Mindfulness and ACT, Acceptance Commitment Therapy. Hence the publication of this blog at ACTmadelyrical.com. For me it has been like coming home. If you have not tried Mindfulness I recommend it to you, if you have not tried ACT an adventure awaits. ACT loves metaphors, ACT loves stories, ACT loves images and I believe that ACT loves poetry. ACT Made Lyrical aims to be an inspirational blog and I shall do my best to update it regularly with both inspirational ACT poetry and other ACT inspired goodies. I am a student of life, irrespective of age, we never stop learning. I am also a student of ACT. In today’s complex world it is easy to forget that emotionally we are still at heart children of the savannah. ACT can help us to understand and deal with difficult emotions and help us to create meaningful lives. I am on a journey. I would love you to join me. I look forward to meeting you. Hello Corinne! Nice to be at ACT. Your vision is great. I like your environment also. It reflects success; so the reader gets captured before they start reading. Bravo! Hi Ngoabesing. So glad to meet you here at ACT. I hope you will visit often and I look forward to getting to know you. Thank you so much for nominating me for this award which I am honoured to accept. I am on holiday for a week so I shall take advantage of some down time to fulfil the criteria.